Neilson Estate Wines seeks to provide the best possible service to its customers by providing the best possible range of products and services. 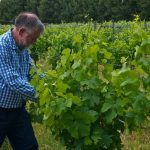 Who is Neilson Estate Wines ? Neilson Estate Wines is a winery that has been providing high quality wines since 1998. From time to time we may use your personal information to provide you with current information about related or special offers you may find of interest, changes to our organisation, or new products or services being offered by us or any company we are associated with. If you do not wish to receive marketing information, you may at any time decline to receive such information by contacting our office by telephoning 08 9296 4849 or by writing to us at 63 Logue Rd, Millendon, WA 6056. In most circumstances it will be necessary for us to identify you in order to successfully do business with you, however, where, it is lawful and practicable to do so, we will offer you the opportunity of doing business with us, without providing us with personal information. Such a situation would be where you make general inquiries about our wines.